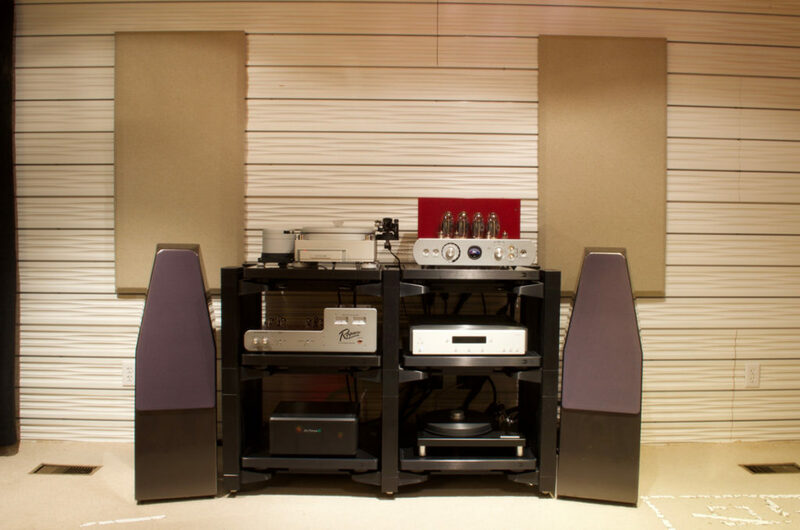 Looking for the recipe for a world class hifi store? Set up shop in a highly visible, heavily traveled location. Fill that store with numerous sound rooms, each furnished with the best sounding and performing audio/video brands available. Staff it with a knowledgeable and personable sales team. Natural Sound in Framingham, Massachusetts, has been diligently following that recipe for over 40 years, and can attest to its success! So, audiophile friends, next time you find yourself on the busy Route 9 between Boston and Worcester, pull over and avail yourself of the warm, friendly environment to see, hear, touch, and learn about today’s best 2-channel audio and home theater gear from the most experienced salespeople in New England. Natural Sound was a company founded by audiophiles, for audiophiles in 1975. Since its establishment, one of the original founders has left the company to pursue new endeavors within the audio industry, as did his replacement, and both have gone on to become well-known engineers and product designers in the field. Meanwhile, original co-founder and current owner, Jim Lackey, is consistently sought after by various manufacturers to lend his extensive expertise to both develop new products and revive older ones. Nearly all of Natural Sound’s employees have worked for Jim and General Manager, Larry Goldberg, for many, many years— some for decades! 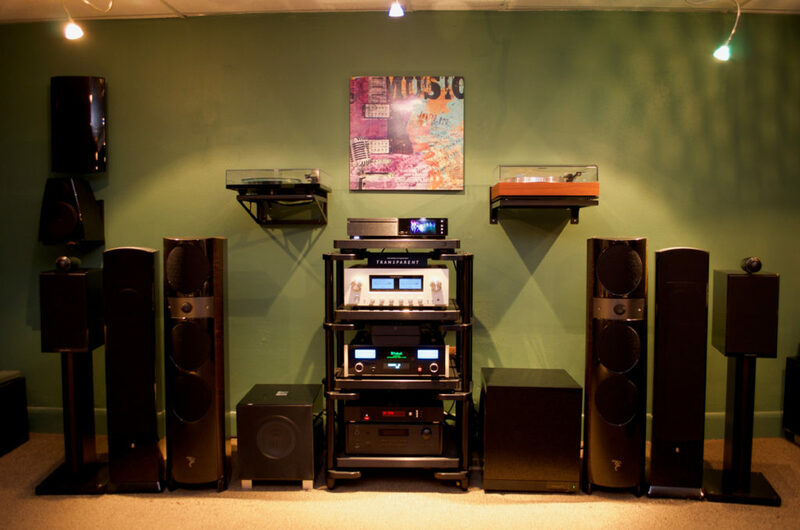 That longevity in the industry means that each of Natural Sound’s sales associates (Peter, Mark, Lewis, and Dave) has years of extensive experience and product knowledge to ensure that they will be able help improve your current home audio system or build a new system from entry level, all the way up to super high-end. Natural Sound even has an amazing integration team, headed by Paul, who intimately knows just about every quality piece of audio/video gear on the market, including all Nordost products. Speaking of products, this veritable old soundhaus is teeming with tempting hifi kits. 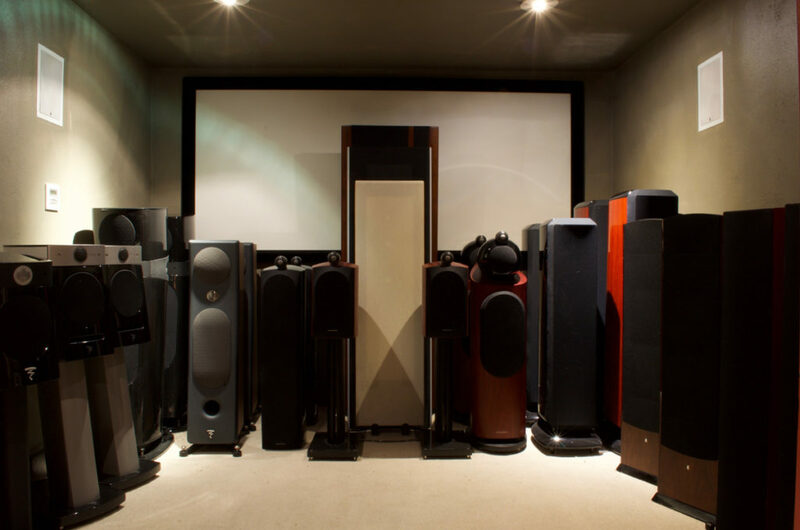 We’re talking esteemed brands like McIntosh, Wilson Audio, Magnepan, Ayre Acoustics, Revel, Naim Audio, Focal, Bryston, Bowers and Wilkins, Rogers High Fidelity, and more! There are a lot of nice turntables to choose from too, such as Rega Research, Pro-Ject, Oracle, Clearaudio and TechDas Air Force. Are headphones more your style? Natural Sound carries superb models from Audeze, Focal, Beyer, and Sennheiser, amongst others! Whichever component you are in the market for, Natural Sound can make them all sound even more rich and resolving with Nordost cables. The shop is always well-stocked with Nordost demo cables and gear, so that you can compare various models in your own home system, from our entry level White Lightning cables, all the way up to Valhalla 2. You can even get a demo of our powerful, new QKORE grounding system, Sort Kones, and other resonant control and power products. So next time you are in the Commonwealth of Massachusetts, take some quality time to visit our friends at Natural Sound. And, if you are a Red Sox fan, you might be lucky enough to say hello to GM Larry, who is personally my favorite Red Sox mentor and fan!